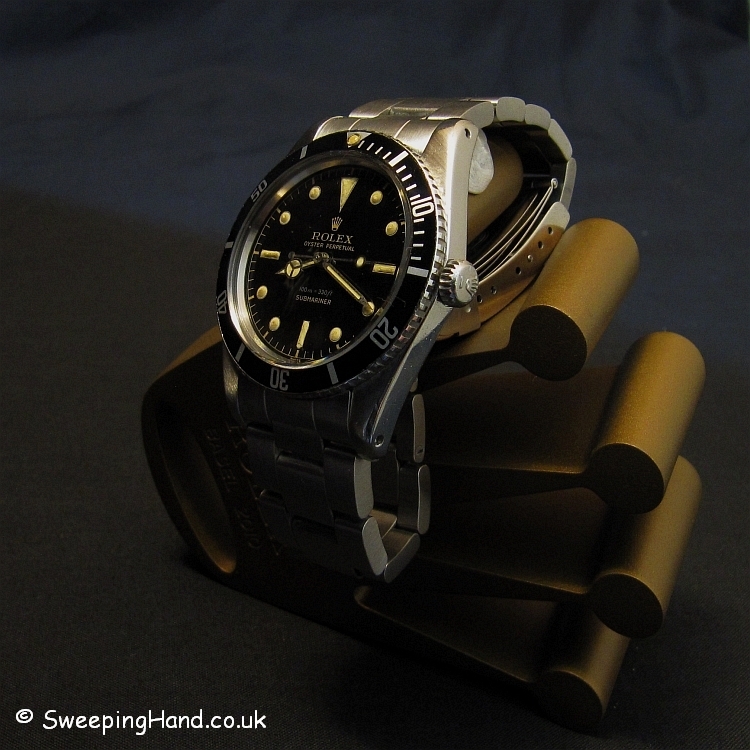 Here we have a Vintage Rolex 5508 Submariner For Sale from 1962. 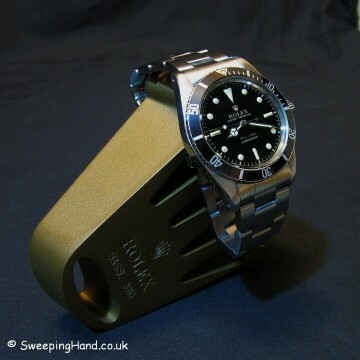 The gilt dial Rolex 5508 is one of my favourite watches and is never easy to let go. The rare vintage Rolex 5508 submariner dial on this watch is a real beauty. The gloss is incredibly deep and the gilt printing is simply perfect and the gilt chapter ring dial has no chips whatsoever. 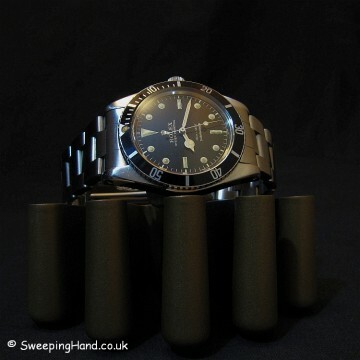 Few pieces are as good looking as very good gilt dial submariners in my opinion. A strong fat case with clear serial and model numbers and original 1530 movement, this piece is going to look great in any collection. A one owner watch bought new in 1965 but sadly without any of the original paperwork. Serviced by Rolex in 1972 and in 1986 as also inscribed inside caseback. 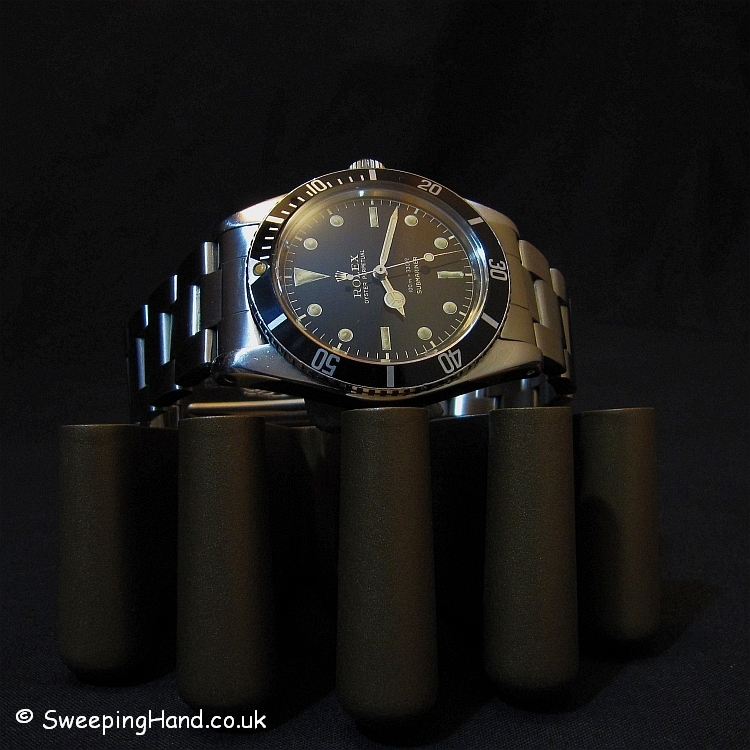 Often incorrectly referred to as the James Bond Rolex it is still extremely cool! I will let the pictures do the talking. It won’t hang around…. Dial & Hands: This piece has a beautiful Rolex 5508 gloss dial with beautiful gilt writing and gilt chapter ring. Perfect creamy yellow hour plots and matching hands. Case & Caseback: Original 700k serial Rolex 5508 fat case with no crown guards. Caseback correctly stamped with ii62 inside. All serial numbers clearly visible to the naked eye. Nice Rolex faded fat font insert with matching pearl and newer bezel. Bracelet: Comes on a replacement original 93150 Oyster bracelet with 580 end pieces. Movement: Original non-hacking Rolex 1530 movement in great condition and keeping good time.